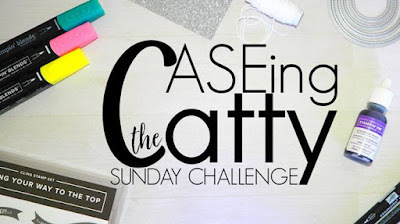 Welcome back to another week of CASE-ing The Catty. 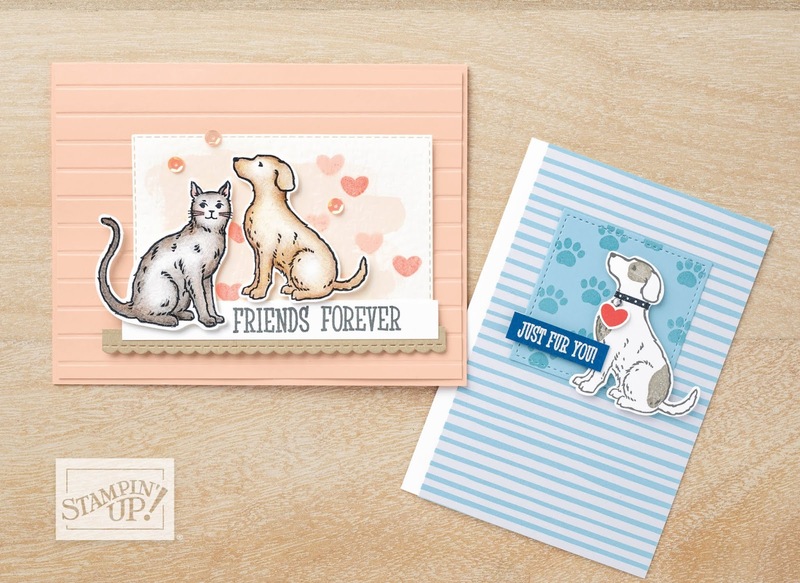 The crew is made up of Stampin' Up! demonstrators from all parts of Australia and New Zealand.You are at the blog of Rachel Palmieri, Independent Stampin' Up!® demonstrator. 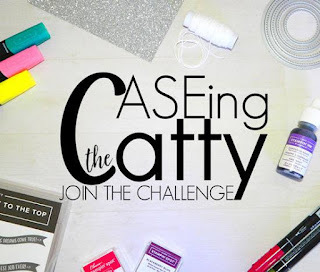 I run classes at my home studio in South Morang, Victoria, share Stampin' Up!® products and tools at parties for my customers, coach my lovely team and create cards and the occasional 3D project. 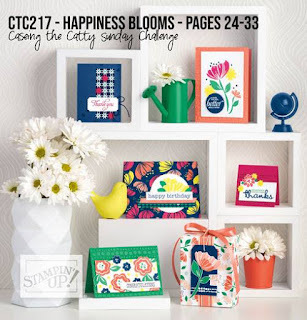 This week the design team are focusing on pages 24-33 of the Occasions catalogue, from which you can order 3rd January - 3rd June 2019. 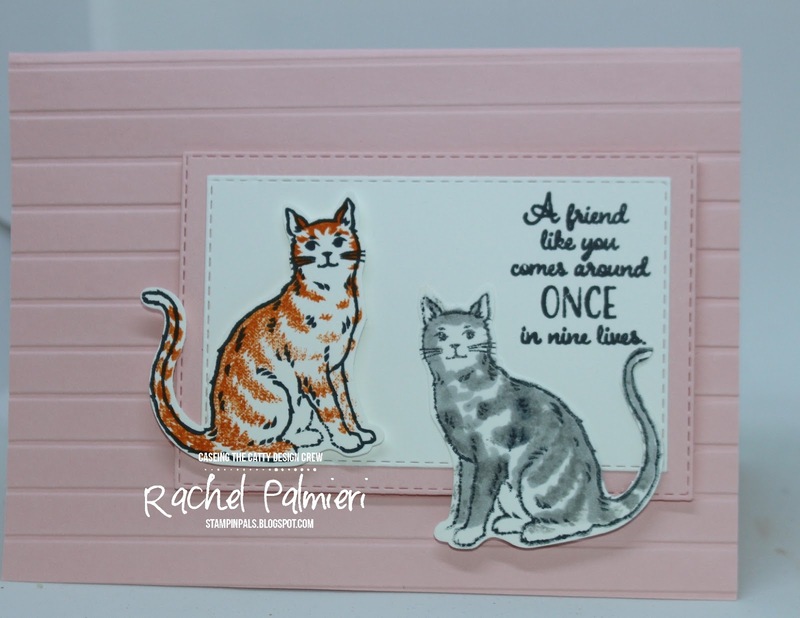 Being a cat-lover, I was happy to see a new stamp, Nine Lives, which matches the existing Cat Builder Punch and others will be thrilled to see the Dog Builder Punch and co-ordinating stamp set, Happy Tails. 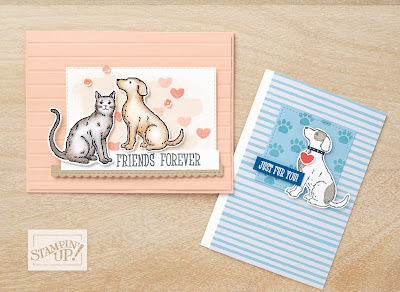 Because the Dog punch and stamp have just been introduced in the Occasions Catalogue, there is a special Bundle code, which allows you to purchase them together for a 10% discount. These cards on page 33 of the Occasions catalogue are very cute. 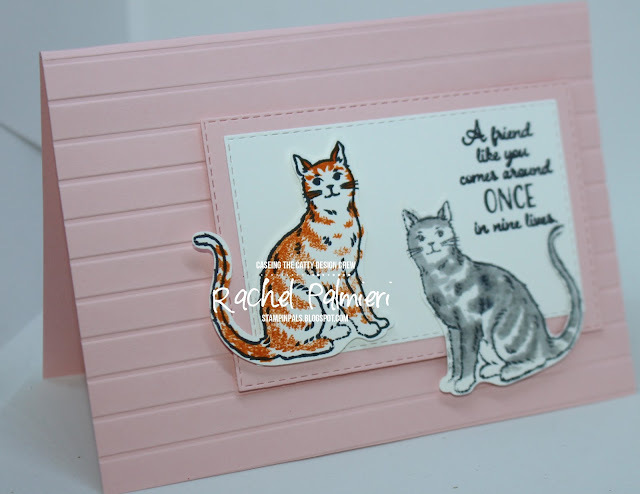 There are lots of stamps in both these stamp sets to individualise your cat or dog, apart from colour. For my CASE this week I altered the sketch on the left with the dog and cat in 2 different ways. For the Soft Seafoam card I have only one puss, I used a very similar background piece, with a different sentiment. However, no doubt you will notice plenty of differences too. The edging has been stepped up a treat with the fancy foliage border from Wonderful Romance. Whisper White Polka Dot Tulle ribbon adds a delightful touch of softness, and the sweet kitty only has eyes for you. For this version, which is closer to the original, I have used 2 cats and couldn't resist using the new stitched rectangles. It's the Simple Stripes TIEF, you'll find that folder in the Annual catalogue. Are you wondering how I reversed the cat on the right? With the Stamparatus and a silicone sheet, this technique is amazingly simple. If you'd like to do this in a class or at your party, please request 'Mirror stamping with Stamparatus'. 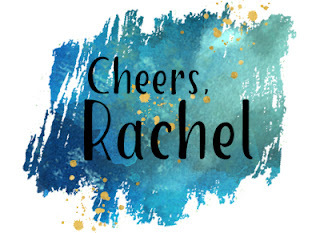 I have 3 Saturday dates in March available for parties if you are within 15km of South Morang and would like your guests and yourself to get some SALE-A-Bration freebies at your party. 31st March is the final day for SAB. I CASEd from page 33, but you can CASE from any where between 24-33 and share it here at our Facebook page. Aren't the catalogues a great source of inspiration? 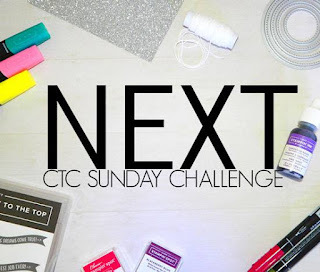 If you live in Australia and would like to purchase any of these items to make your own projects, I would love to be your demonstrator. To make it easier, the pictures below take you straight to the item in my online shop.